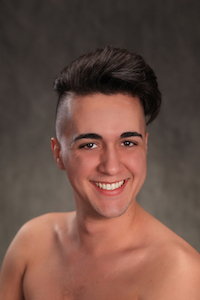 Ian Richard Smith is a company member with North Pointe Ballet. He is a graduate of Baldwin Wallace University with a Bachelor of Arts in Theater with an acting focus and a minor in dance. His previous appearances include ‘Captain Hook’ in NPB’s Peter Pan, NEOS’ ‘A 1940s Nutcracker,’ NPB’s ‘Cinderella’ and ‘The Nutcracker,’ as well as ‘Fyoo zh en’ (’14, ’15, ’16, ’17) at Baldwin Wallace. He is pleased to be with NPB and would like to thank Janet, Melaina, and the rest of the company for the pleasure of working with them, as well as his family, friends and cat for their undying support.